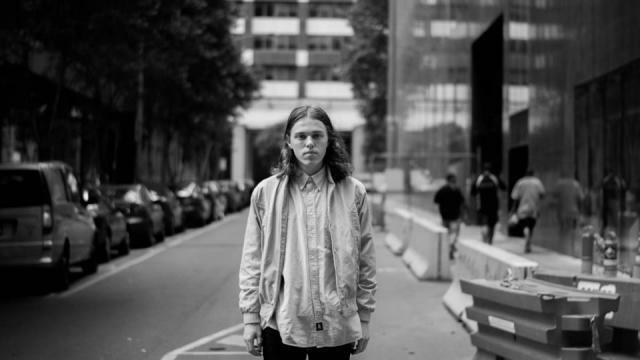 Adelaide rapper Allday made some major buzz when he dropped his debut album Startup Cult back in 2014. He really took off after that album, but he had been making mixtapes and music for ages before that and has a massive amount of tracks out there. When that album dropped I told people I thought he would be the first Aussie hip hop artist to make it outside of Australia. His Drake style of rapping and signing, funny personality mixed with a loyal fan base seemed like the perfect mix. 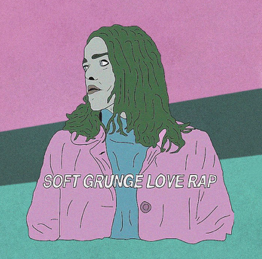 Well he has released this free mixtape Soft Grunge Love Rap as a little piece to listen to while he works on his next album. Allday himself said that “This is a mixtape I made really quick because my album is taking forever and I wanted to put some new songs out”. This mixtape sees Allday staying in pretty familiar territory, not particularly saying this is a bad thing. Allday once again has delved deep into his mind for his lyricism one thing that Allday is one of the best at. You can tell who he is from these lyrics. From No Better where the hooks says “”And I spent my last money on molly/I’m tryna change my ways but they ain't budging/I’m not getting no better” a common theme in Allday’s music, his troubles with drugs and battling his inner demons. This is one thing I really appreciate with Allday, his lyrics are highly personal but also relatable. He normally raps about problems we all face, paranoia, anxiety, being poor and drug use. Something some rappers seem unable to do. The production on this mixtape is also pretty solid songs like No Better has a great piano on a repetitive loop and Paranoid From The Bikie Weed has a haunting atmospheric vocal sample that fits perfectly into the lyrics and Alldays flow. The only song that seems out of place is Charm Braclet which has an odd upbeat flow that it doesn’t fit with the rest of the mixtape. Overall this mixtape is definitely one you should check out, especially because it is free. It will keep any Allday fan satisfied until he finally releases that new album that is apparently in the works. Who knows maybe this will give you a glimpse into what the next album will sound like. Guess we will have to wait and see.